Hi, I am from Pakistan and I am glad to provide you my services. I have recently completed my Bachelor of Computer Science (BSCS) from FAST-NUCES which is one of the best higher...Read moreHi, I am from Pakistan and I am glad to provide you my services. I have recently completed my Bachelor of Computer Science (BSCS) from FAST-NUCES which is one of the best higher education institute in Pakistan. 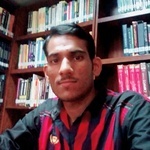 I am interested to work in software Engineering field and currently I am working as Software Design Engineer in Pakistan. I am very passionate about programming and drive an easier approach towards automation.